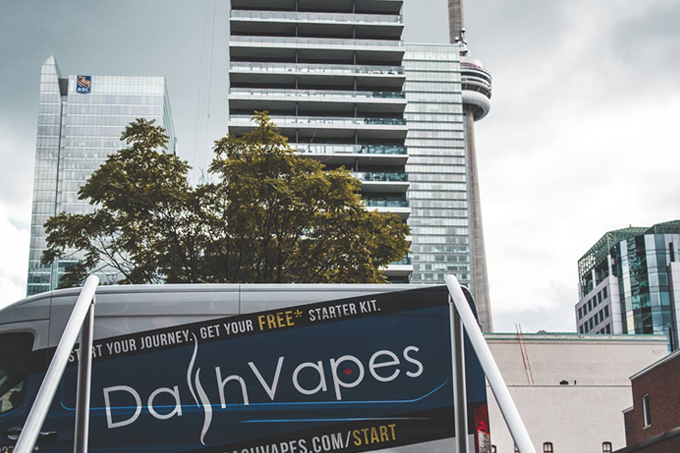 TORONTO, ON - November 23rd, 2018: DashVapes has announced their nationwide expansion into British Columbia. DashVapes is Canada's largest independant vape retailer, with 9 retail locations and a 17,000 sq.ft distribution centre in Ontario. DashVapes has finalized the purchase of a 16,000 sq.ft distribution, fulfilment, and manufacturing facility in Burnaby, British Columbia. Starting in March of 2019, DashVapes will be able to offer free, 1-2 day shipping to most of Alberta, British Columbia, Saskatchewan, Ontario, and Quebec. Our existing customers can count on the same great service they've received online to continue in-store. Career opportunities will be posted shortly.